ArenaFilm. 2007. 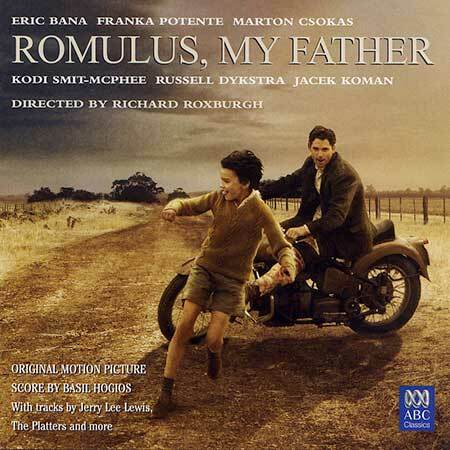 Director: Richard Roxburgh. Music: Basil Hogios. CD (ST)	ABC Classics. 442 9400. 2007. 03: I Miss Holding You. 2.37. 04: Carry Me Back to Old Virginny. 2.57. 06: Wild One (Real Wild Child). 1.48. 07: Rai Visits Vacek. 0.30. 09: Mein Herr Marquis (Laughing Song). 3.41. 10: Not Wasted Time. 1.18. 11: I Think of You. 2.43. 14: Can I Sleep in Your Barn Tonight, Mister? 2.46. 15: Burning Off and Tension. 3.28. 17: Romulus, Rai, Christina Reprise. 2.11. 20: Romulus Drags the Cross. 1.10. 21: Ave Verum Corpus (excerpt). 2.31.